If you want the best subwoofer for rock and metal music under $1000, you have come to the right place. I was lucky in that my parents were both rockers. So when I was born in 81, I was brought up on stuff like Bon Jovi, Kiss, Guns n Roses, Poison and many more rock acts. I have always loved rock and metal and these days thanks to the advances in technology we have it better than ever. Today I am sharing with you some of the best subwoofers that are out there. These are some that are more high end but they are perfect if you want the most bass and kickass way to really enjoy your music. While I am specifically looking at the subwoofer today and that is all I am really going to be talking about. It is worth noting that there is no point paying over a thousand bucks for a subwoofer if the rest of your setup was picked up at Walmart on black Friday for fifty bucks! A subwoofer can be the difference maker when it comes to rocking out, but it is there to complement the rest of your setup so please keep that in mind. Here are the best of the best when it comes to subwoofers. I was lucky enough to test a few of these bad boys out. However, I have also handpicked a couple of others that I think look like they will shake the foundation of your house. If you want the best subwoofer for rock and metal music under $1000, you will find it down below. 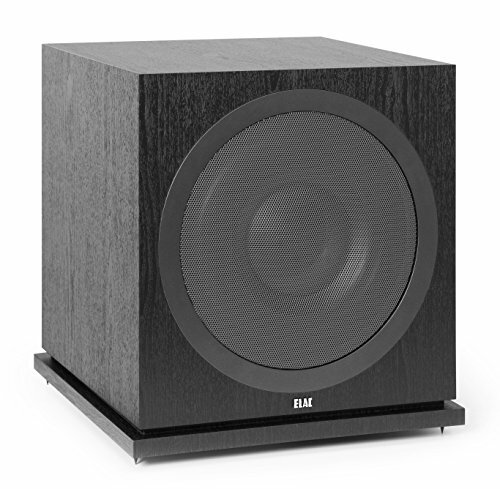 The first subwoofer that I tested out was this one here from ELAC. First thing I have to say about this is that I love the style they have gone for. It’s a nice size and has some real heft to it. They have put it on this little platform which I think helps add to its style. Currently this one here is going for around 700 bucks so you will certainly have more money in your pocket for some vinyl or even CDs if your budget is a thousand bucks. While I like to have my stereo equipment hardwired in, this ELAC Debut 2.0 SUB3030 1000 Watt Powered Subwoofer does allow for Bluetooth connectivity as well. Which brings me to my issue with this thing, you have to connect it to your phone to play with the settings! Inside this is a very cool sounding 12 inch long throw sound driver and this gives the bass some real kick. The first album I tested with this was actually a CD. It was Edward the Great (one of the 50 compilation albums Iron Maiden have done) I was very impressed with the kick that this subwoofer gave songs like The Wicker Man and Number of the Beast. This subwoofer is made for rock music in my opinion. It makes the bass and the lower tones much more raw and real and I was very happy with every album that I tested with this. If they had dials on the back or on the side that let me play with the settings I think we would have a winner on our hands already. This has a 4 and ¾ star rating on Amazon right now so as you would expect all of the reviews are very positive. Like me though while people love the sound that this thing pumps out. Many are not too happy that you need an app to change the settings. I was very impressed with the sound that this ELAC Debut 2.0 SUB3030 1000 Watt Powered Subwoofer offered and the build quality was great. I know that for most folks, using an app is not a big deal, but I wish it offered more direct control. Coming in at a little over 500 bucks the KEF KUBE 12b Subwoofer has to be on a best subwoofer for rock and metal music under $1000 list! The KUBE looks like something out of Star Trek and that is cool in my book. It does have a bit of gloss to it which is not ideal in my situation as my kids love to touch everything so it will have more fingerprints than a crime lab. In all seriousness, I was very happy when I pulled this out of the box at how solid it was made, especially considering the very reasonable asking price. For testing this I connected it to my turntable and the first album that got the pleasure was the most Grimmest Hits from The Black Label Society. This is one of my favorite metal albums of last year and I was very happy with how the subwoofer handled those lows and the base. What is really cool about this is that I am someone who loves to tinker with my music. The KEF KUBE 12b Subwoofer has three different build in settings that you can use and for most people, these will be fine. For me though, I loved getting the bass and sound just right thanks to the dials on the back of the subwoofer. This is a front firing subwoofer and the 12 inch sizes makes it have some real kick. A site called which is a UK site has some great customer reviews. One that caught my attention was a dude who said this, “Give me more of a natural live sound than I had before, very good.” This makes me very happy as I have a large collection of live rock music and I agree that with the right tweaking live music sound epic! I thought that the KEF KUBE 12b Subwoofer was a fantastic piece of kit. Especially when you consider you can get this for half of what we are budgeting for here. It does require a little playing with to get all of the levels just the way that you like. However, once you do no matter how loud you like your music I feel that you will be very happy with this. Next on our quest to find the best subwoofer for rock and metal music we have the Harman Kardon Enchant Subwoofer. The style of this is rather interesting in that at first glance you probably wonder just what the heck this thing is and how am I expected to listen to Ozzy Osborne on something that looks like it is made for cats to play on? In all seriousness, this ten inch subwoofer is actually very well made and feels very solid. 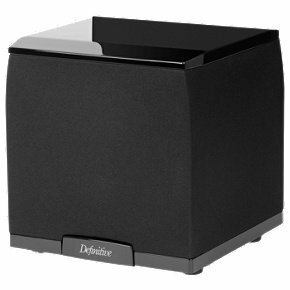 It is a wireless subwoofer so you will have to make sure the rest of your setup is able to be used with it, but these days most stuff can. The reason I really wanted to test this out was that they say that it offers some very deep, low bass and that it does it with no distortion. When the wife and kids are out I like to rock out loud! So having a subwoofer that does not echo or have that weird distortion effect is key for me. This is designed to go with their own soundbar and that is evident in that when you are using it there is no way to change the sound settings! At this price range, I should not have to go and download a manual or search the internet like I am Frodo looking for Mordor to know if I can change the settings. Thankfully the sound quality out of the box was great, but I am a tinkerer and if you are looking to spend this kind of money I guess you are too. Not being able to easily change the levels of the bass and treble is very strange. If you want to see this thing in action then check out this YouTube video. It actually shows you how it works and also how it is best used with their own soundbar. You also get a better sense for who this thing looks and of course you can also check out the YouTube comments to see what people are saying there. I am still unsure of what to think about the Harman Kardon Enchant Subwoofer. They clearly want you to use this with their own soundbar and to a degree, I get that. 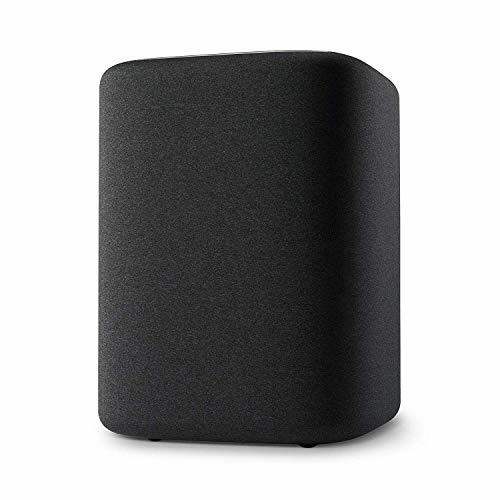 However as someone looking for a subwoofer to just connect to their already existing setup, this even though the sound is very good. It may not give you all of the options that you would like. I would make sure to do some extra research on this one before you drop the near 600 bucks they are asking on it. I have played around with products from REL Acoustics before so I knew I was in for a good time with this one. This is a bit more of a compact subwoofer which is great if you want some deep bass, but do not want a monstrous subwoofer taking over the room. This has a very high tech and futuristic look to it. They have given it a gloss finish which I admit looks cool, but it is a magnet for fingerprints and dust. What I really like about the design though is the silver feet. I usually like my stereo equipment all black, but these silver feet just finish the whole thing off very nicely. As this is a down firing subwoofer I thought that I would give some 80s hair metal a blast with this. My boy Brett Michaels and Poison were given the pleasure of breaking this in. First of all, I was very happy to see that there were dials on the back so I could play around with it to get it just as I liked. At 8 inches it is not the most powerful subwoofer on this list, but to be fair I was very happy with it once I fine-tuned it. This subwoofer is not going to rock your house, however, if you want a subwoofer that is going to work in tandem with your other speakers and just feel “right” then this subwoofer is perfect for you. I was very surprised with how much I was into this and ended up spending quite a while listening to records and CD’s through it. If you go to Amazon you will notice many glowing reviews for this subwoofer. One review sums what this subwoofer is for perfectly by saying. I wasn’t looking for room shaking thunderous bass. I just wanted to fill the bottom end of my B&W 805S speakers a bit. REL Acoustics do have a an official YouTube channel which is showcasing just how cool this thing looks and that is well worth taking a look at. I know that with an 8 inch driver and a rather small stature you may think that the REL Acoustics T/5i Subwoofer is not worthy of your rock collection. However, I do think that if you are looking for a subwoofer that is going to compliment your other speakers rather than take over the sound you will love how it fits in. It takes a little fine tuning to get it there, but that is part of the fun of getting a new subwoofer. You can currently find this for 500 to 600 bucks and I think the price is more than fair. This is a subwoofer that I spent a good few minutes turning round and round. The reason for this I am sure this is a box from the Justice League movie and that a portal awaits inside! In all seriousness, this has a very cool and high end look to it. I think that this looks really cool and while it does have a bit of that shiny plastic going on that is the norm these days. It is not as mess attracting as some of the other subwoofers I have seen. 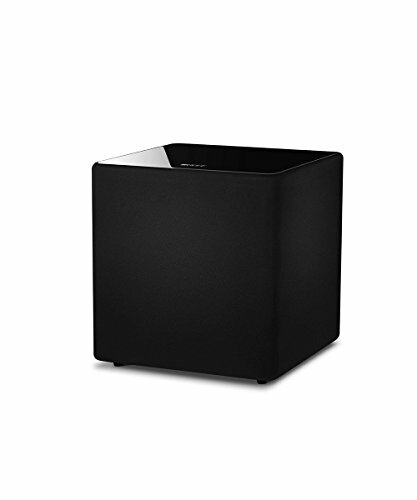 Currently, this is going for a little under 600 bucks which I think is not a bad price at all and I do know for a fact that the Definitive Technology SuperCube 2000 Subwoofer is one of the more popular subwoofers for rock music. So what about the tech inside? Well, this is a very interesting design. I did my homework and found out that powering this is a seven and a half inch woofer along with a pair of ultra low bass radiators. This is what gives you that really deep and punchy sound and if you love bands like Iron Maiden then you will love how raw this sounds. I was very impressed with this subwoofer and found that I could get it nice and loud without any distortion. You will have to play with that dial on the back a little and I think that having it away from the walls helps, but there is a little tinkering to get the bass that you like. Very tight and low bass, Thunderous sound, amazing quality bass, did I say how loud it can get? Is what a review on Amazon had to say. I actually read most of the reviews and this has a 4 and ¾ star rating and I read very few negative things about it. The main negative people seem to have is the price, which I do not think is that bad at all. I freaking love the Definitive Technology SuperCube 2000 Subwoofer I was not sure what to expect as I had heard good things, but I was not prepared for how good this was. I ended up listening to all my favorite albums with this connected to my stereo and I was very happy. I even played a few vintage Kiss albums that I have and was not disappointed. 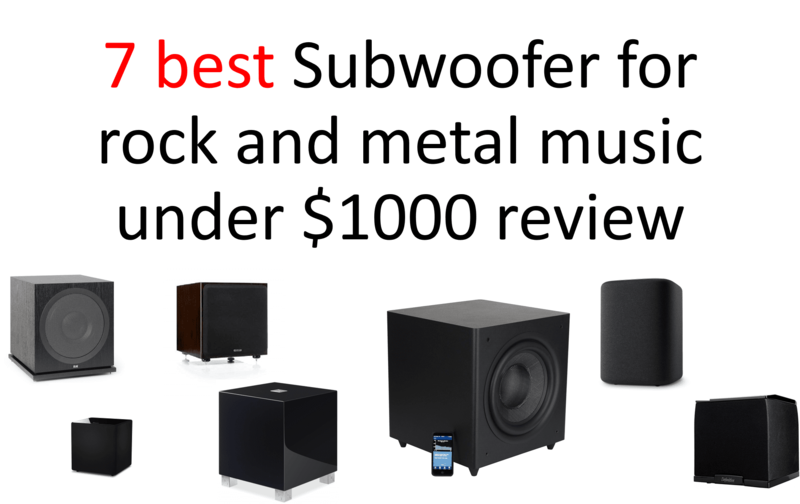 This ticks all the boxes of what you need when it comes to a subwoofer. Also, the compact nature of it makes it great as it takes up very little space. No bad reviews that I can see! What if walnut is no your style? I never actually tested this one out, but I thought that it looked really cool so I thought it was worth taking a closer look at. Frist thing that captures your eye is the design, the walnut design looks really classy and you do not have to worry about the kids leaving fingerprints over it. On the front, they have used black and it goes very well with the walnut design. The feet are really cool and make sure the subwoofer does not sit directly on the floor, also the feet they have used make it look like it is floating. If you have a family and your other half is a bit more picky about your stereo equipment, this will be something they will not mind being in the living room. 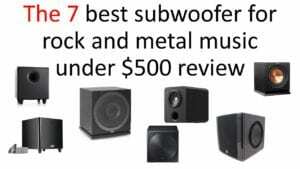 It is priced at just a hair under a thousand bucks so that makes the Monitor Audio Silver W-12 Subwoofer one of the most expensive ones on this list. It has a long throw 12” driver which should make this thing fill the whole room up and make it bounce! I do not always get the chance to rock out super loud, but when I do I go all out. I think that this is perfect if you love your music super loud! 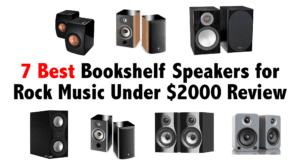 Monitor Audio make only high end stereo equipment and if you want the best of the best and are not scared of the price tag I do think that this is worth taking a closer look at. Here is a YouTube Video where a fellow music fan is testing out the bass While the music he is listening to is just god awful you can get a sense for how deep the bass this things produces is. Most of the reviews I have come across have all been overwhelmingly positive. Of course, the price is a sticking point for most folks, but those who have this do seem to be very happy. Man how I wish I could have gotten one of these Syzygy Acoustics SLF 870 Wireless Subwoofers in the mail to test out! This had to be on my best subwoofer for rock and metal music under $1000 list! I know that it is very close to a thousand bucks, but this is regarded as one of the best wireless subwoofers on the market. The style is really cool, I love how they have gone for a dark black and it appears to have a more matte finish than a gloss one which is something I really like. First of all, it is much harder for it to get dusty and dirty, but also it looks so 80s! Which if you love rock and metal, you know all the best rock and metal is from the 80s! What really makes this great if you are a fan of rock music is that this is 1200 watts and powered by a kickass 12 inch driver. 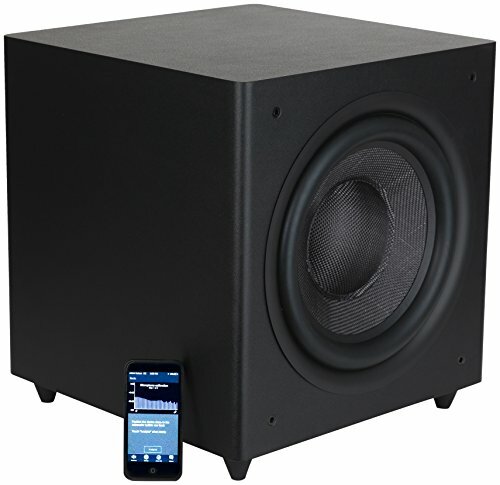 It allows both front firing and down firing and thanks to the app that runs this subwoofer, you can play with the settings to get the bass just the way you want it. I would have so much fun with something like this. 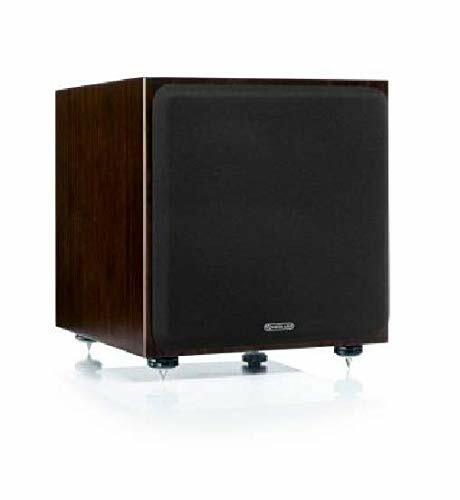 I feel that if you have a larger room and want the bass to really fill it, this subwoofer is something you need to take a closer look at. It has this “sound sculpting” technology which is what makes it able to be used in pretty much any room. One site that gave this a glowing review is The Absolute Sound and they had many great things to say about this. Especially in regards to the sound sculpting. “The company’s website says that “using unique SoundSculpt Technology, each Syzygy subwoofer essentially makes a 3-D sonic map of its space, and then adjusts its output to smooth out the aural peaks and valleys. It sends out a series of tones that measure the shape and size of your room.” The fact that it does this is truly mind blowing to me! While I am very happy with the current subwoofer I have in my setup, the more I read about this the more I went to test this thing out. It really does sound amazing and I think for really hard and fast rock like some of the stuff from the Foo Fighters or Guns n Roses it would really come into its own. 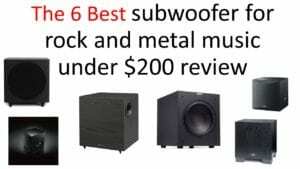 What Is The Best Subwoofer For Rock And Metal Music Under $1000? I had a great time rocking the house with some of these subwoofers. Thankfully there are not really any that I would say are “bad” but there are some that I did like more than others. 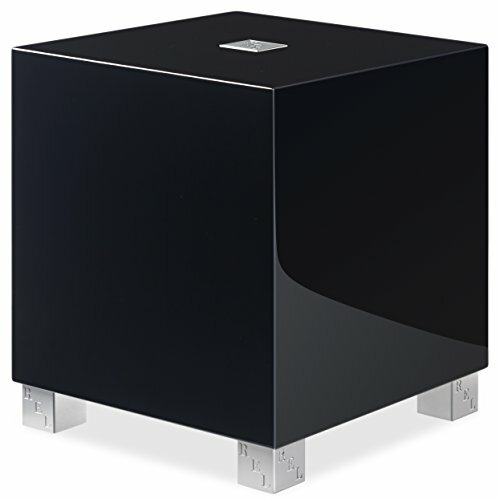 For the price, I thought that the Definitive Technology SuperCube 2000 Subwoofer was a fantastic subwoofer. This is evident that I went to the effort of playing about ten of my all-time favorite albums with it connected. I was also impressed with the KEF KUBE 12b Subwoofer, once I messed with the settings a little bit. Of course, I have to give special mention to the Syzygy Acoustics SLF 870 Wireless Subwoofer. Even though I did not get to personally test it I really do think that if you have a grand to play with, you have to consider this if you are looking for the best subwoofer for rock and metal music under $1000.